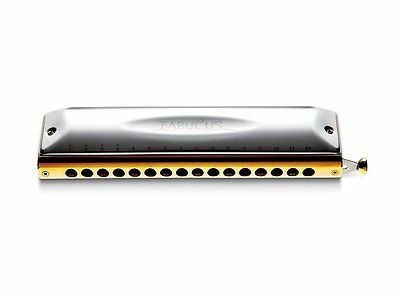 New Suzuki F-64C Fabulous Chromatic Harmonica sealed in the Japanese retail package. Payment through Paypal is preferred. We honor the manufacturer’s one-year warranty for this item. If it breaks down naturally during that time you can ship it back to us (at your expense) for a replacement. We do not accept returns on opened items. Shipping from Japan by insured EMS express takes 3 to 6 days to deliver, and can be tracked online. The tracking number and online tracking information is given upon shipment and can be tracked from this site. ©2014 Smart Imports. All Rights Reserved. Tascam Combination Minidisk Recorder / CD Player MD-CD1MKIII Ships Free!